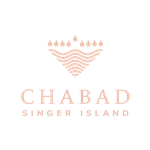 Thank you for partnering with Chabad of Singer Island! Thanks for being a part of Chabad and sharing in our vision. Your generous donation strengthens Jewish life and enables us to offer an array of programs, activies and initiatives throughout the year!